Ryan Reynolds is a real life, furry Detective Pikachu in the debut trailer! 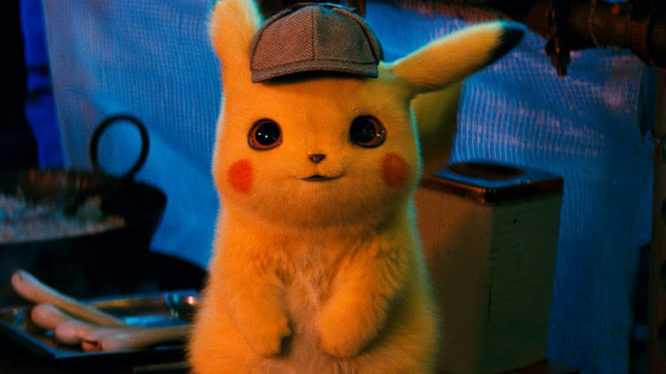 We’ve known for a while that a live-action Pokémon movie based on Creatures’ 3DS game Detective Pikachu was in the works. Now, thanks to the film’s first trailer we have a good idea of what’s in store when Pikachu and friends blast onto the big screen in summer 2019. Ryan Reynolds will be donning the Deerstalker and picking up a magnifying glass as he lends his voice to Detective Pikachu. The gruff detective will be joined by a star-studded line-up of actors including Bill Nighy, Rita Ora, Suki Waterhouse and Ken Watanabe. Coming along for the ride as Detective Pikachu’s trusty partner, Tim Goodman is Justice Smith who recently starred in Jurassic World: Fallen Kingdom. The trailer also gives a great look at the visual style of the Pokémon and how they fit into the real world. Unlike previous movies and anime, Pokémon: Detective Pikachu opts for a much more realistic look. Pikachu, Psyduck and Jigglypuff can all be seen with fur, Charizard is a full-on dragon and Mr. Mime is frankly the stuff of nightmares. Pokémon: Detective Pikachu takes viewers on an investigation around Ryme City when it comes to cinemas in 2019. For a first look of the film, check out the trailer embedded below and find out more on the official website.